Do more with heat maps. Heat maps are a great way to see relationships in your data, but getting the most out of them takes real-time numbers and context to make sense of it all. 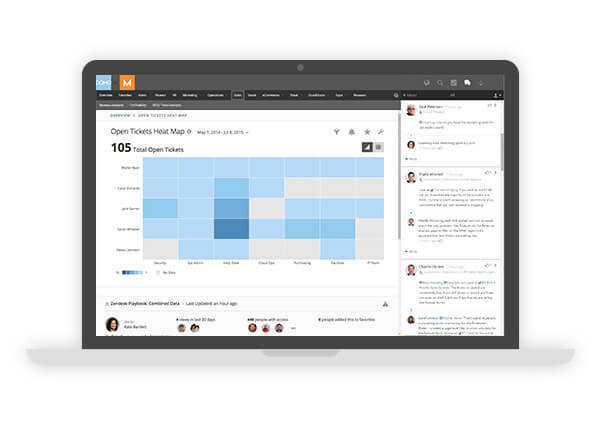 Domo takes heat maps to the next level by bringing data from every department, platform, and campaign into one place. With fresh data flowing in automatically, heat maps become more than static reports – they’re living, breathing insights. Fill out the form and see it in action. Watch a quick video demo. Oops! That looks like a personal email address. Please enter a business email address.